Outdoor survival gear and wilderness survival tips, resources & links for camping, backpacking, hiking & climbing. Yahoo! 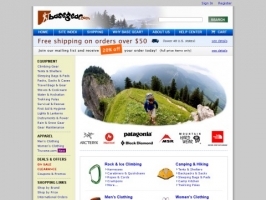 Shopping 5-Star Top Service Award winner and recognized as one of the "best" sites by HikingandBackpacking.com.